Before i get into the details of this, there could be a few of you out there who don’t even know what web hosting is, leave aside the different plans that you have to choose from. Very simply put, web hosting is a service that enables you to publish your website onto the Internet. I think you will understand it faster with the help of a video. So go ahead, check out this short video from Easyspace. I chose this plan as this was the cheapest option available and at this point in time, when I am completing the basic groundwork with no traffic – I don’t think it makes any sense to spend any more money than this! But I think while building a website for the first time, choosing the right hosting plan is a genuine concern for all of us, especially since it involves a recurring monthly cost. And for this very reason – I decided to interview Pratik Jagdishwala – Senior Product Manager and Anurag Sabharwal – Brand Manager at Hostgator India and they were kind enough to help me out with this and also agreed to simplify the technical jargons in order to make the buying decision easier for a newbie in this field. So here we go…..
1.When selecting a hosting plan for your website, what are the most important factors that one needs to take into consideration? Geographic Location of Customers– If majority of your customers are from India, it’s recommended to buy a hosting plan with Indian server location for better performance. Expected Traffic – How many visitors do you expect on your website? You can use shared hosting package for up to 20-30k customers. Understand Your Needs – Will you need server access? Is it a simple website? 2. Most freelancers/small business owners opt for WordPress to build their websites on. What kind of hosting plan would be best for them? Cloud Selling stuff, growing a website – Cloud Hosting is Managed Hosting which has a simple to use website management interface. All services and security are monitored and managed by us in Cloud Hosting. Any business which is rapidly expanding and would suddenly start getting a lot of unexpected traffic can sustain on this platform. On normal shared platform their site will stop serving traffic due to limited capacity and no option of adding more resources on the go. 3. Cloud Hosting seems to be the buzzword these days. In which circumstances would you recommend a webmaster to go with cloud hosting? Cloud hosting is beneficial when a business owner wants a scalable product that can meet variable demands and workloads without compromising on speed. Do you expect the traffic on your website to grow occasionally say during an event? If yes, then cloud hosting is the right product for you. By going with this option, you will be able to avoid huge costs associated with buying and maintaining a fully dedicated server. Yes, ‘Managed WordPress Hosting’ is a product built ground up to support WordPress and tackle major issues user face such as difficulty in upgrading plan, and taking backups. Here what WordPress Hosting enables you to do is increase resources for your website on the go. That means you can add more RAM, more CPU to your WordPress installation if you are expecting more hits. So the product has been built on top of the Cloud Hosting Platform with Cloud based backups and Anti Malware pre-integrated within the product itself. The client does not have to configure anything separately to enable all these features. 5. Shared hosting make you share the same server space with numerous other websites, ultimately slowing your site speed down. Please elaborate on this key concern of many small website owners who have to constantly struggle with speed issues. Shared hosting is for basic websites with monthly traffic of up to 20-30,000 visitors. In case you expect higher traffic or you want to develop an advanced website (for eg. e-commerce) use premium hosting – Cloud / Virtual Private Server or Dedicated Server. 6. How important is it to get SiteLock and CodeGuard for your website? Are there any cheaper alternatives to these? CodeGuard is like insurance plan – website backup service and SiteLock helps you identify malwares & regularly scans your website. Can you afford to lose your data or have your site infected by malicious content? Therefore it is highly recommended that everyone should use a backup and security solution. For backup we can also use free backups within cPanel/ Plesk Panel or use plugins & backup to Dropbox / Google Drive. To scan the website we can also download the content and use a normal antivirus to scan offline, but there are many functionalities of a website security product like SiteLock, Perfect Dashboard that are not available in a normal anti-virus such as Cross Site Scripting, FTP scanning, SQL Injection Scan etc. 7. How would you compare your services to other leading players like Bluehost? HostGator is a value for money web hosting provider which offers great support 24 X 7. Bluehost is a recognised WordPress hosting provider and offers premium services. Bluehost is more like a recognized and recommended partner for WordPress. 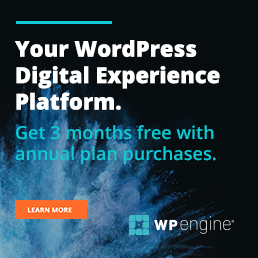 Matt Mullenweg, the creator of WordPress recommends Bluehost for WordPress Hosting. So that’s their play. On HostGator front, we offer solid, high performance hosting at a much lower cost and great 24×7 support comes free with it. Hence the bang per buck that HostGator offers is better than other providers. Plus HostGator is a more user friendly service and we go out of the way to help the clients out. 8. Last, but not the least – being in the hosting industry, what are the common mistakes that you see small website owners making and what are your recommendations to avoid them? Choosing the wrong hosting platform – Linux/ Windows (eg running php on windows hosting) – Understand what your needs are and what programming language you will use. Always make it a point to talk to a support agent at your web hosting provider. Trying to build custom applications which are already available – CMS, LMS, Picture Galleries, Shopping Carts, etc. Spend time searching thoroughly about available solutions- Google, blogs, forums, quora/ talk to your peers. Ignoring backup and security products – What would be the impact if you lose your data or your website gets blacklisted on search engine? You should not be relying on your web hosting provider for backups. They maintain disaster recovery backups and not realtime backups for individual websites. You should be looking at third party backup services like Codeguard, which backup content offsite on their on infra (AWS for Codeguard). So even if your hosting server crashes, you have all your content safe with you. Plus services like this give you a summary of changed content every day so you can monitor for any unauthorized changes happening to your site. Similarly people look to try and fix their website post their site has been hacked. This takes a lot of time and effort and at times intervention on specialist which is going to cost much more than protecting their website by using Anti – Malware services like Sitelock to detect anomalies automatically and even if it gets hacked if they have a service like Codeguard they can use it to roll back any changes the malware has made at a click of a button and fix the issues. Always make it a point to talk to a support agent at your shortlisted web hosting provider and explain them the requirements of your website. They are there to help you and will be able to guide you through the most important questions that need to be answered before you go about spending any money on a plan. Well, a BIG thank you to Anurag and Pratik for taking out some precious time from their busy schedules and answering these questions for us. If you’ve liked this interview, then do share it with your friends who may be at a similar stage of website planning. Also, if there are any further questions on this topic, you can write to me a tulika.kiran@freelancingwiz.com or leave a reply in the comments section below.